I stumbled upon these delicious cupcakes while looking for something to bring into the office for my co-workers. No special occasion, just a desire to bake and not increase my waist size at the same time. My secret weapon of weight loss centers around pawning off leftovers on unsuspecting colleagues. They have yet to complain about my mode of moderation. Make these for your co-workers or your family or yourself. Just make them. But beware their addictive nature if you don't have anyone on which to lovingly bestow (aka pawn off) the leftovers. Place 20 cupcake liners in two 12-cup muffin pans. Beat the butter, lemon zest and sugar until light and fluffy – about five minutes. Add the eggs, one at a time, and mix until combined. Toss the blueberries with 1 T flour. Sift the remaining flour with the baking powder, salt and baking soda. Add a quarter of the flour mixture to the butter mixture and combine. Then add vanilla and a third of the buttermilk and combine. Repeat until the flour mixture and buttermilk are incorporated. Fold in the blueberries. 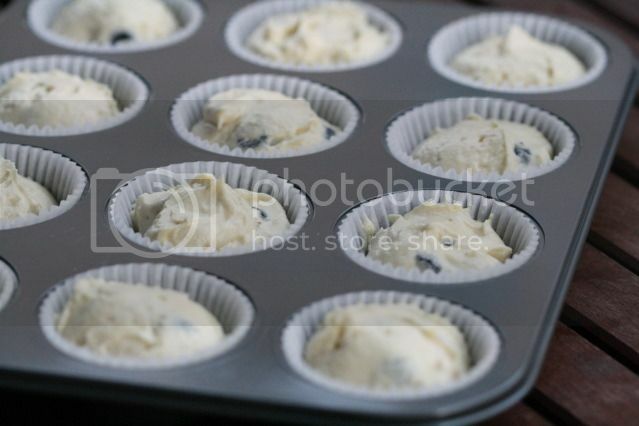 Using an ice cream scoop or large spoon, scoop the batter into the prepared muffin pans. Bake 18-20 minutes, until a toothpick inserted comes out clean. Cool pans on a rack for 5 minutes. Turn cakes out and cool completely. 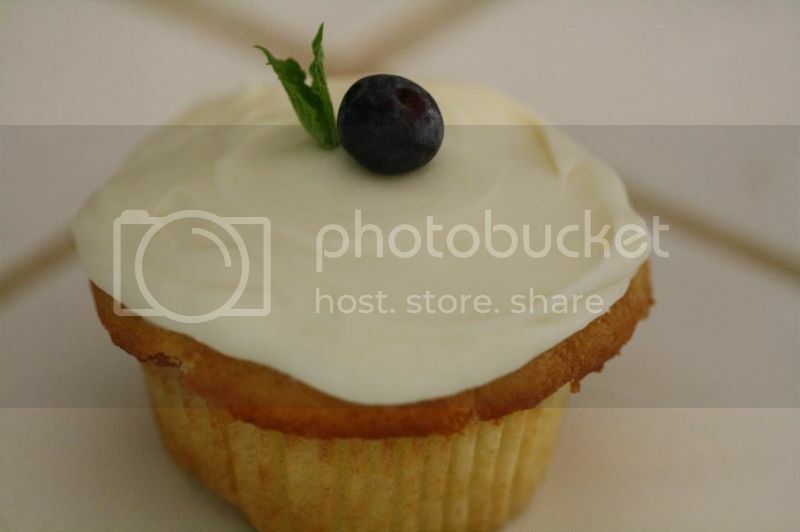 Frost the cupcakes (recipe follows) and top each cupcake with a blueberry and a mint leaf (if desired). Beat the ingredients in a stand mixer until completely smooth. If the mixture is too runny, add more confectioner’s sugar until desired consistency is reached. Please make these next time I visit...I will help! Very nice and must be delicious! These look so sweet - I love their simple presentation. Lemon and blueberry is always a delicious combo, I bet these went down a treat! Oh yummy cupcake. I want to eat that when I see it. Especially blueberry on top..